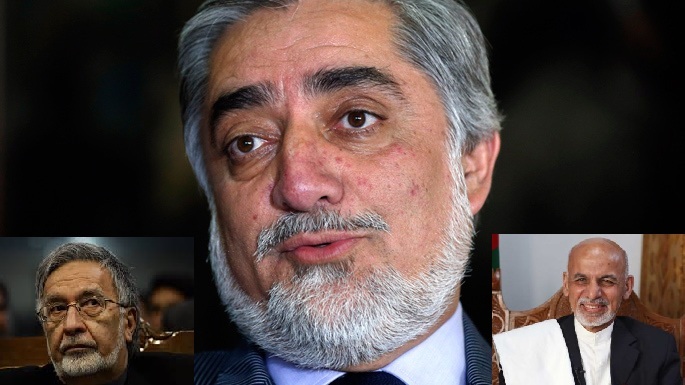 JNN 15 April 2014 Kabul : Former foreign minister Abdullah Abdullah is leading his closest rival Ashraf Ghani in the Afghan presidential election, the country’s Independent Election Commission (IEC) said Sunday. “Today we announce the partial results of 26 provinces with 10 percent of votes counted, the totals represent more than 500,000 votes out of an estimated 7 million cast. These include (provinces) in the north, south, east, west and Kabul,” said Yousuf Nuristani, the IEC chief, AFP reported. A run-off election between the two leading candidates will be triggered if no single candidate gains more than 50 percent of the vote when the final results are announced in late May. Of the eight provinces for which results have not been announced, two are in the north (Badakhshan and Baghlan), two in the east (Khost and Paktia), two in the south (Ghazni and Wardak), and one in the south-west (Ghor). Abdullah, who was born to an ethnic Pashtun father and a Tajik mother, is more associated with the northern Tajiks. Abdullah, an ophthalmologist by training, had served as an aide to anti-Soviet guerrilla commander Ahmed Shah Massoud and later as foreign minister during the early years of Karzai’s tenure. Meanwhile, Afghanistan’s Independent Election Complaints Commission said on Sunday more incidents of serious fraud were reported in an April presidential election than in the previous one in 2009, when more than a million suspect votes were thrown out. According to Reuters, the complaints body hinted it might need more time than expected to investigate all of the complaints though the volume would not affect the overall schedule for electing a leader. Final results are due on May 14. “There is a possibility, in order to review the high number of complaints accurately, that we may expand the time frame for reviewing complaints in provinces for some days,” said IECC spokesman, Nader Mohseni. More than seven million people defied bad weather and Taliban threats of violence to vote in last Saturday’s first round of the election, earning praise from world leaders. Ahead of the vote there were fears that a repeat of the massive fraud which blighted Karzai’s re-election in 2009 would undermine the winner’s legitimacy at a testing time for the war-torn country. This entry was posted in Asia Pacific and tagged Abdullah Abdullah, Abdullah Ghani, Afghan presidential election, Afghanistan Presidential Elections, Ashraf Ghani, Dr Abdullah, Ghani, Independent Election Commission, Independent Election Complaints Commission, presidential election, Zalmay Rasool. Bookmark the permalink.